This innovative Wet Bounce Combo addresses the problem of the bounce area getting too slippery once it gets wet. When water gets on regular vinyl it causes the kids to slip and lose their balance with serious injuries a real possibility. 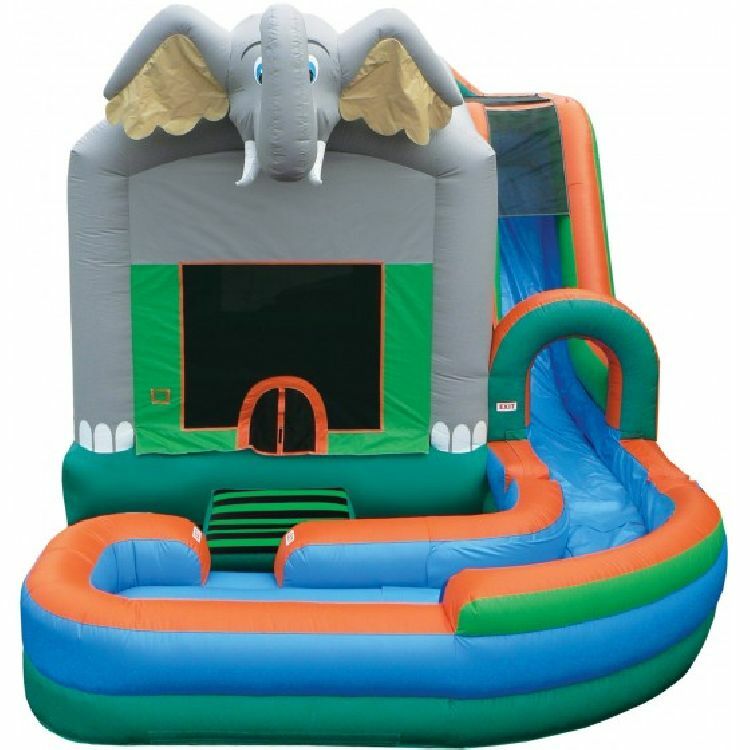 With specially built heavy duty non skid material on the entrance ramp and on the entire jumping mattress it virtually prevents the kids from slipping. The 15’L x 10W bouncer has a basketball hoop kids can bounce, climb up the ladder and push off onto the 32′ sliding lane whipping around a 90° turn.